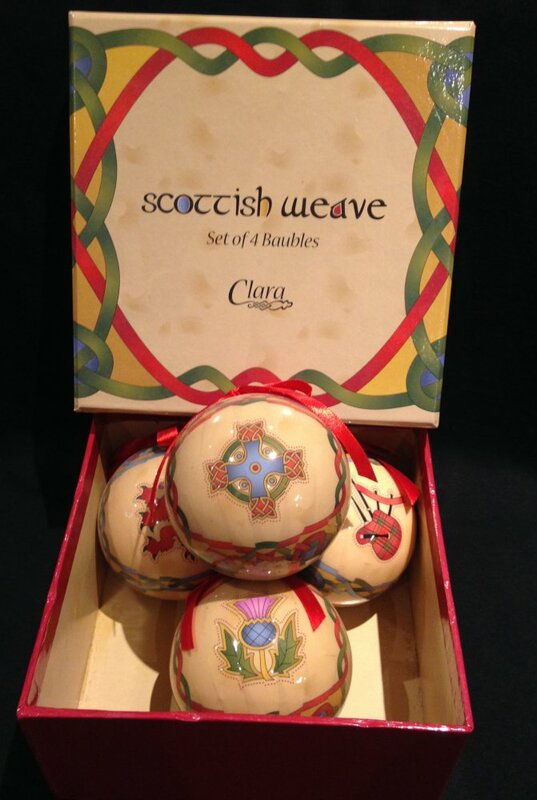 A boxed set of four Scottish Weave Christmas Tree decorations. 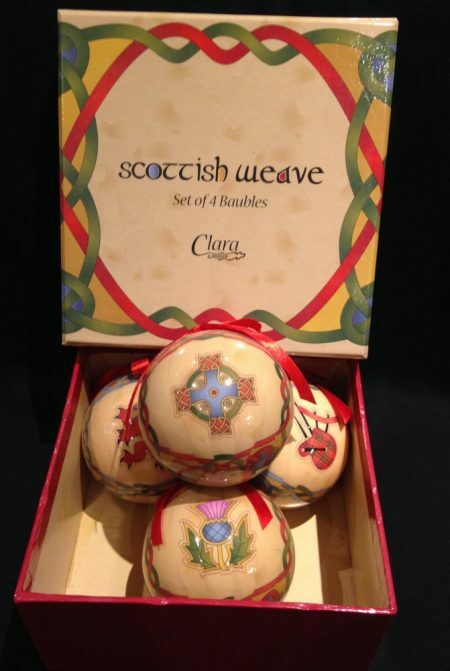 One of each design – Scottish Lion, Scottish Thistle, Bagpipes and traditional Celtic Cross. Red ribbon loop.